The Hollywood community is in mourning once again, as a great character actor has passed away. David Huddleston, best known as the title character in the Coen Brothers' classic The Big Lebowski, died at the age of 85. The actor's wife, Sarah Koeppe, confirmed that her husband died on Tuesday in Santa Fe, New Mexico. He had passed from advanced heart and kidney disease. The Los Angeles Times confirmed the actor's death with his wife. 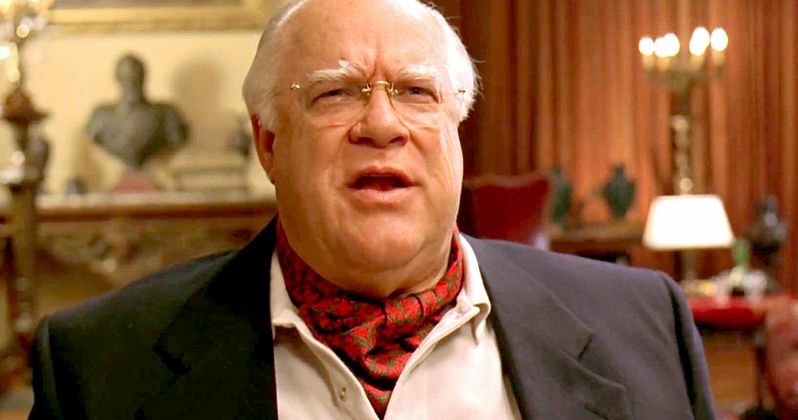 David Huddleston was born September 17, 1930 in Vinton, Virginia, which is part of the Blue Mountains region. He would act in local community productions before he attended the Fork Military Academy in Fork Union, Virginia. He served four years in the U.S. Air Force as an aircraft engine mechanic, and when his service had ended, he went to New York to study acting on the G.I. Bill. He trained at the American Academy of Dramatic Arts and landed numerous roles on Broadway and in guest-starring TV roles on hit shows such as Adam-12, Bewitched and Bonanza. He started landing more and more movie roles such as Fool's Parade, Bad Company, alongside his future Big Lebowski co-star Jeff Bridges, McQ and Blazing Saddles. His wife said that her husband always talk about how he was in "every cult film," but that they never got the money when they needed it. Here's what she had to say about her husband. "Things were not important to him - people were. He loved entertaining and would rather sit down and talk with someone over dinner." After a lengthy career that spanned more than 30 years, he landed the title role in The Big Lebowski and reinvented his career. He went on to guest star in several beloved TV shows like Gilmore Girls, The West Wing, Jericho and The Wonder Years. He also starred in Santa Claus: The Movie and The Producers, and one of his last roles was a guest starring spot on FX's hit comedy series It's Always Sunny in Philadelphia.